Over the counter, (OTC) medications are a huge business for the pharmaceutical and healthcare industries. Responsible for over $33 billion in revenue in 2016, they often surpass revenue earned by drugs available only through prescription, despite generally having lower costs. Feminine itch and yeast infection treatments: Responsible for $302 million in revenue, drugs like clotrimazole and butoconazole are some of the top sellers. Sleeping aids: With a country full of employees who do not get enough sleep, it's no surprise that sleeping aids are a big business. Sleep medications like antihistamines and diphenhydramine produced over $428 million in sales. Pain relief: External analgesics, such as pain relief creams and gels, produced over $734 million in revenue. From muscle soreness to burns, this a prominent category. Eyecare: Eyecare items like eye drops and ointments brought in $852 million. Treating everything from dry eye to redness, this is a growing category. Suncare: Suncare products such as sunscreen and after-sun treatments brought in over $1.2 billion in sales. Laxatives: Laxatives, diuretics, and other similar items brought in $1.3 billion in revenue. Oral antiseptics: Oral antiseptics, such as treatments for canker sores or gum inflammation, produced $1.4 billion in revenue. Heartburn products: Heartburn drugs like Prilosec and Nexium produced $2.6 billion in sales, treating acid reflux and heartburn after meals. Internal analgesics: Drugs for minor pain and fevers produce more than $4.1 billion in sales, treating everything from headaches to sore muscles. Respiratory: Respiratory drugs like Dayquil or Tylenol Cold & Flu are the most commonly sold medications, producing more than $8.1 billion in revenue each year. The only categories that saw slightly lower sales from the previous year were acne products, feminine hygiene douches, hair growth products, and homeopathic remedies. Why Are OTC Drugs So Popular? 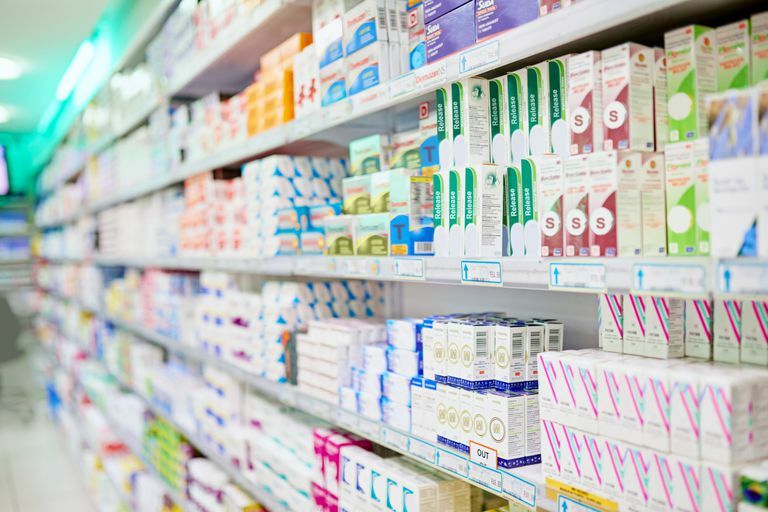 OTC drugs are popular largely due to their convenience. For prescription medications, you typically need to see the doctor, take the prescription to the pharmacy, and wait for it to be filled. If you have an ongoing issue, you may need to go through this process several times a year. In contrast, OTC drugs are very simple. If you are not feeling well or have a particular symptom, you can get the medication right away. OTC drugs are readily available; you can get aspirin or medicine for a stomach ache at the local pharmacy, retailer, and even the grocery store. Many people keep certain medication, such as headache medicine or allergy pills, on hand at all times, just in case. Because they are sold right off the shelf, many people think these drugs are completely safe and without side effects. However, this is not the case. Some medications can have significant side effects, ranging from drowsiness to damaging your kidney functions. They also can interact with your other prescription drugs, nullifying their effectiveness or causing dangerous reactions. This is why it is so important to talk to your doctor if you take any OTC medication regularly; it may impact what prescription drugs are safe for you to take. While convenient, over the counter drugs are still serious medications, and should only be taken when needed and according to the label instructions. OTC Sales by Category 2013-2016. Consumer Healthcare Products Association. https://www.chpa.org/OTCsCategory.aspx.